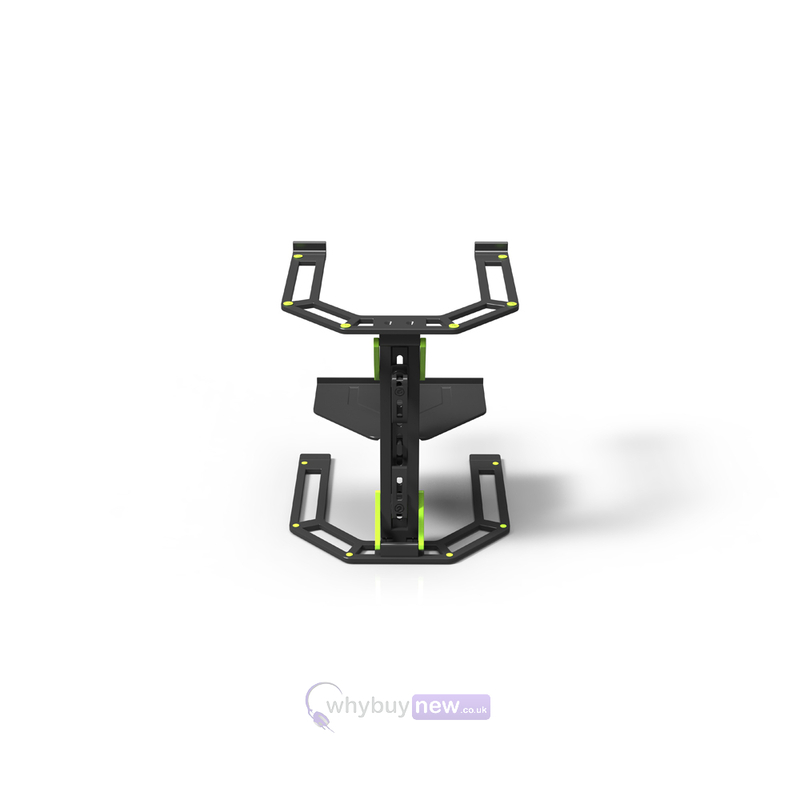 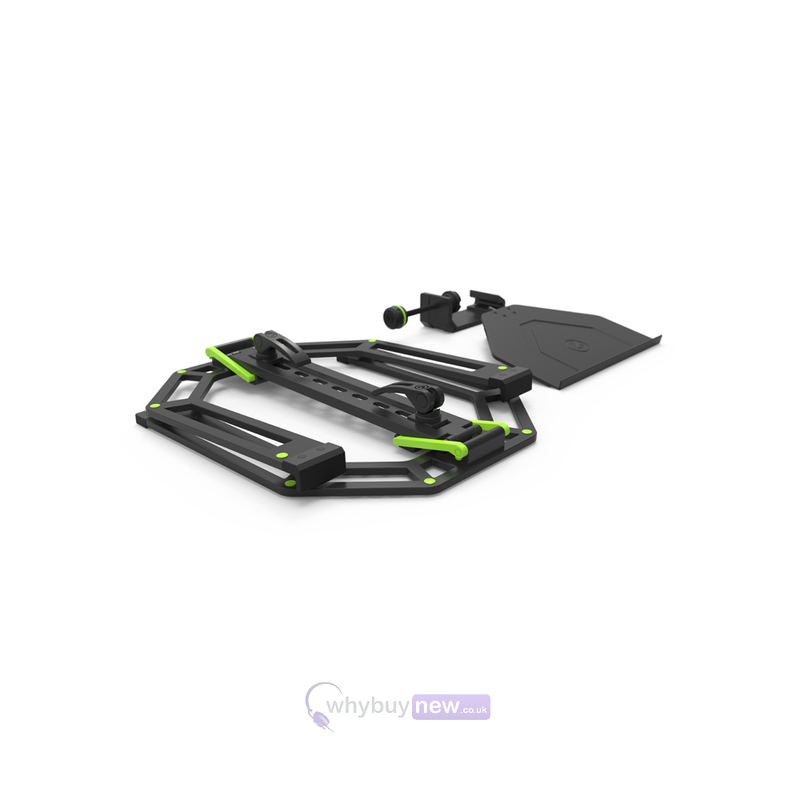 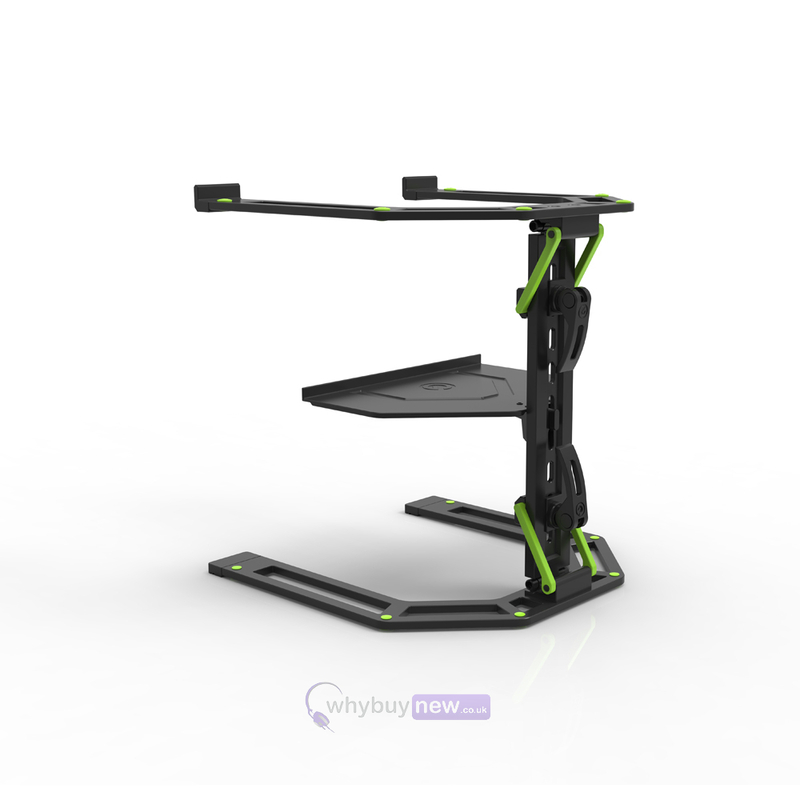 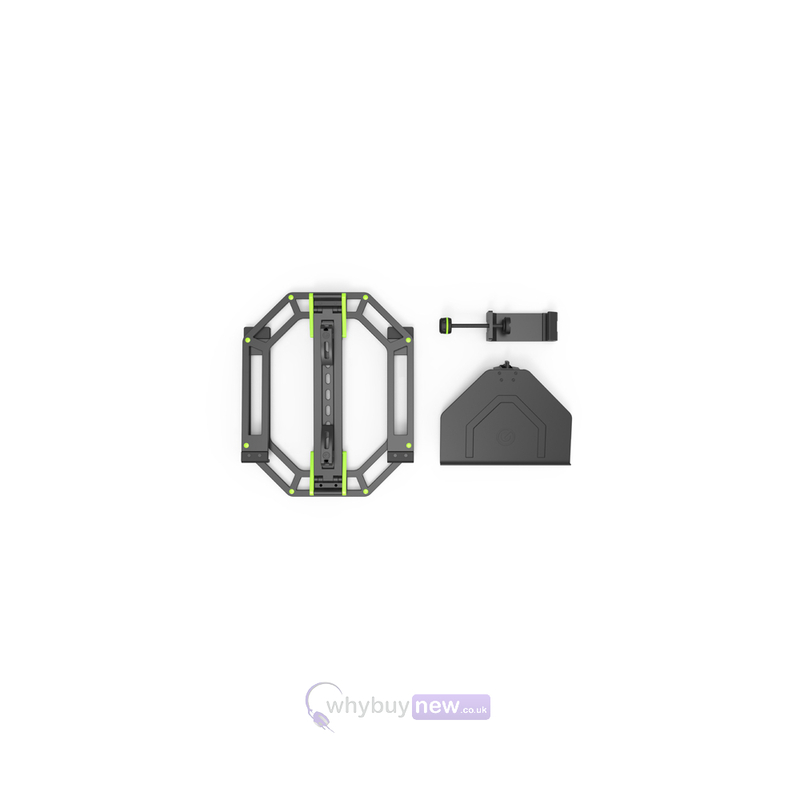 The Gravity LTS 01 B Laptop Stand features a revolutionary and patented design that is extremely robust, lightweight and conveniently portable. 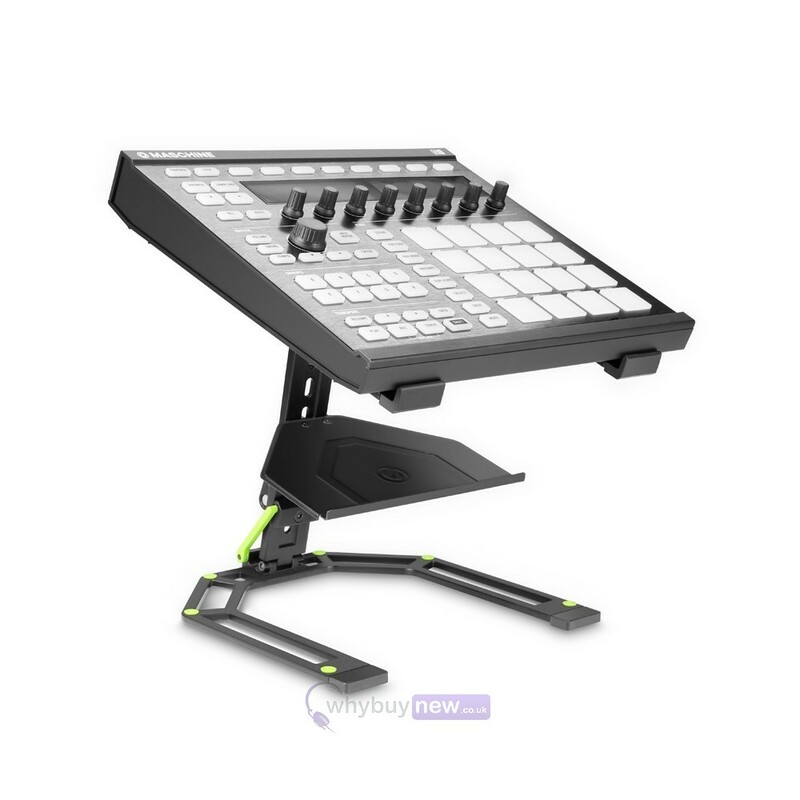 The stand is suitable for laptop sizes 12" to 17", and also for DJ controllers such as Launchpad, Maschine, Push 2 or similar. 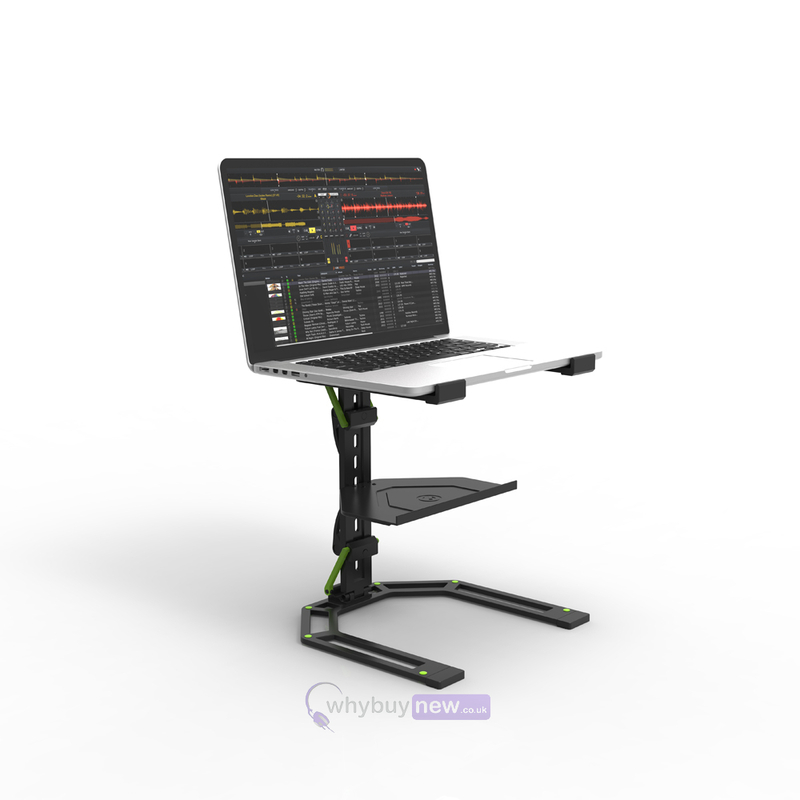 It can be folded to a compact transport size in seconds which makes it ideal for mobile and club DJs. 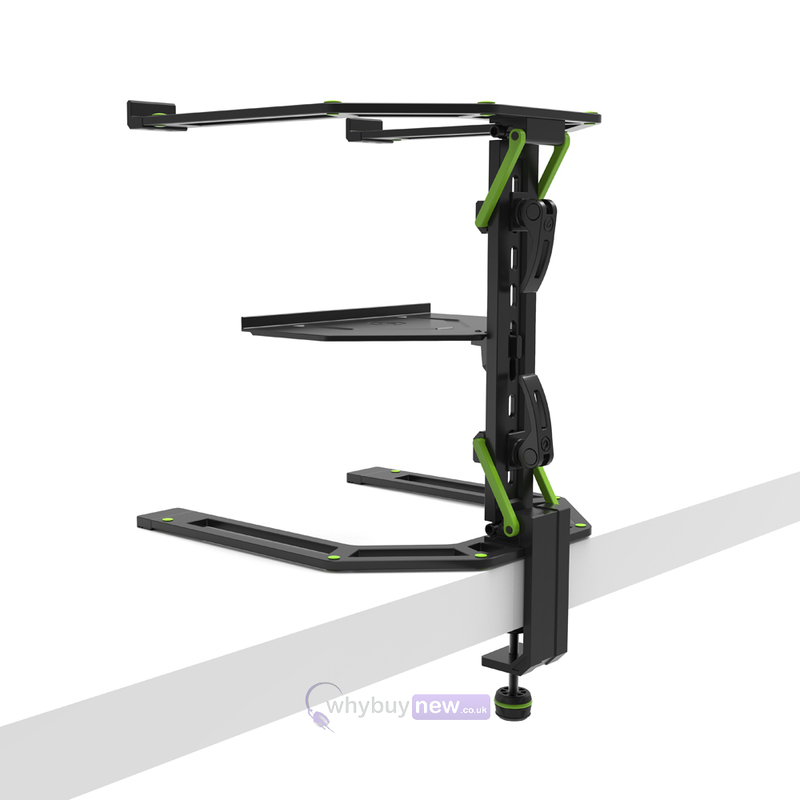 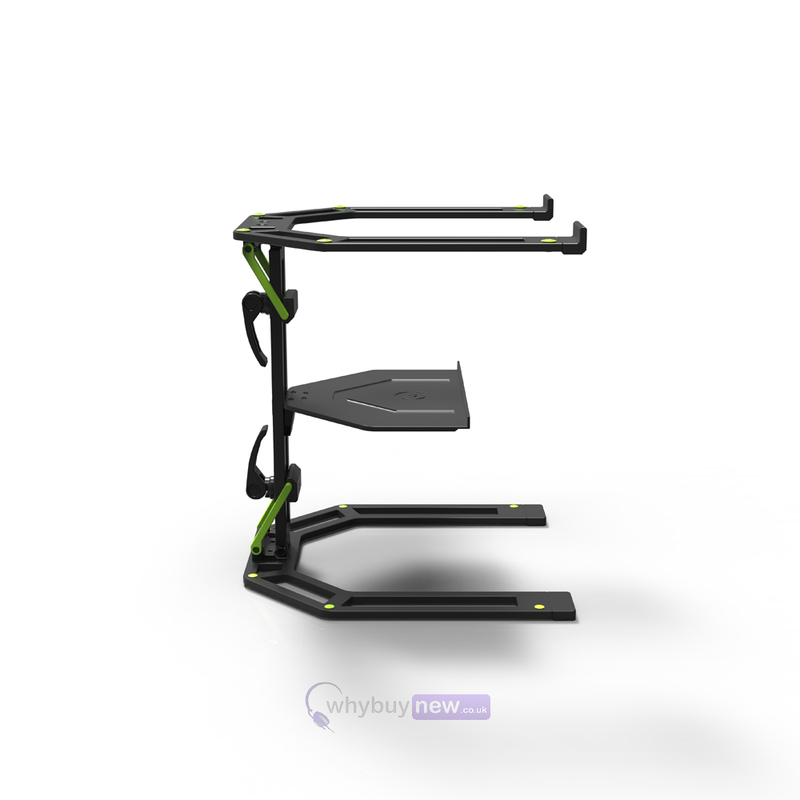 Its securely locking eccentric clamps facilitate rapid tilt adjustment and locking of the non-slip rubber-coated shelf and base to provide optimal ergonomic use. 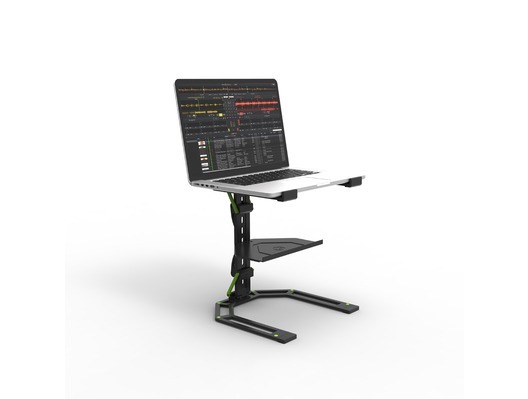 The laptop stand is equipped with a table clamp and a clipboard, which are elegantly mounted on the middle rack.